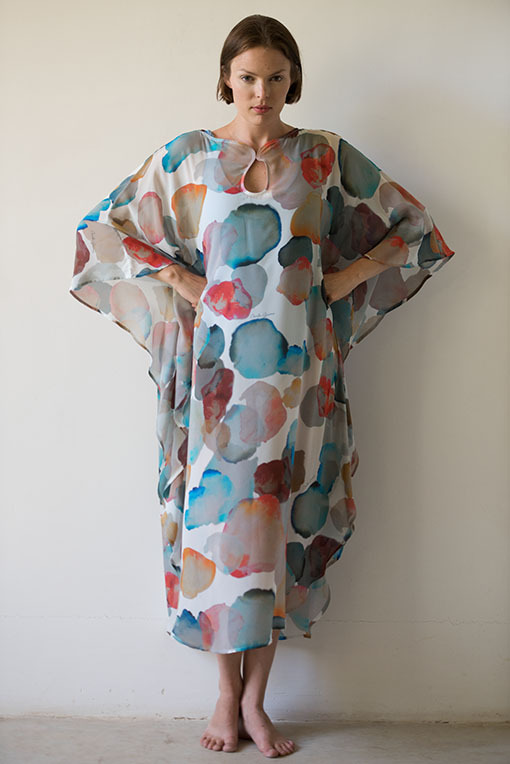 The Atelier’s Gemma Kaftan is cut with flared sleeves and a mix of fabrics; Silk Georgette front and sleeves, with a cotton print on the back. 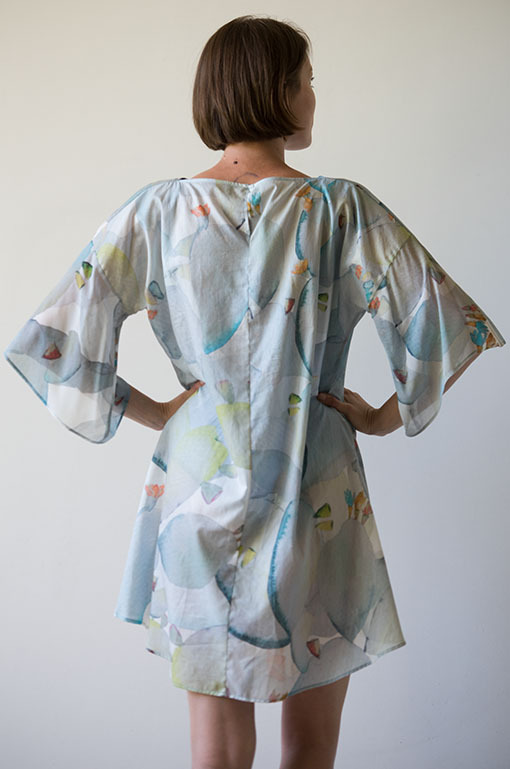 This style is cut just above the knee on the front and below at the back. 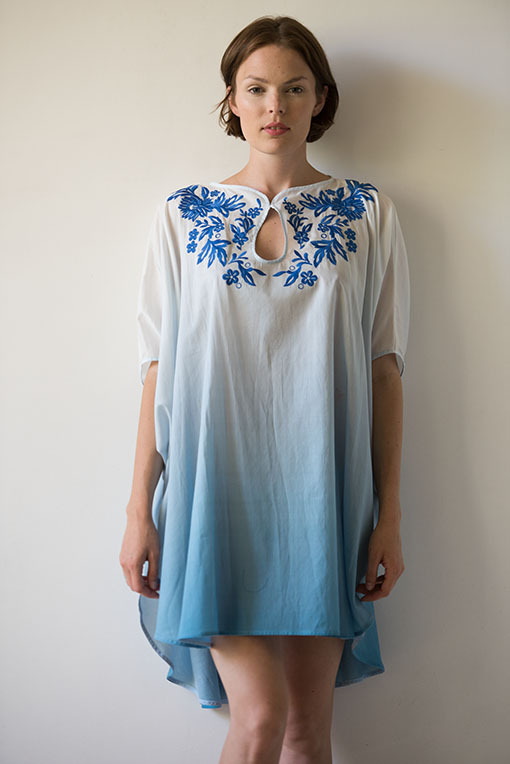 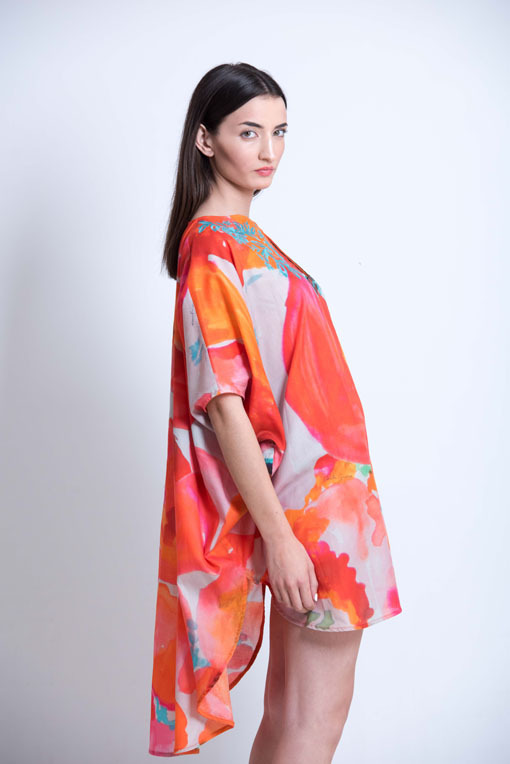 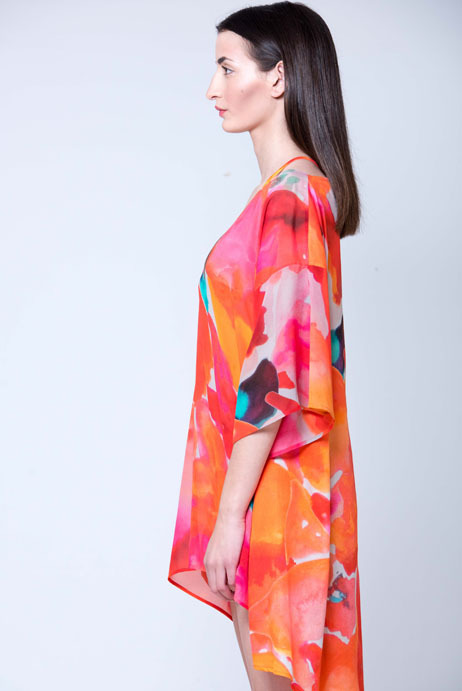 The Atelier’s Gemma Kaftan is pin hemmed and french seam to ensure a high quality finish.